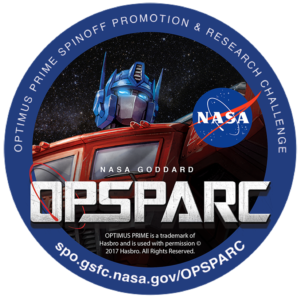 We’re excited to announce that NASA Goddard’s 2019 OPSPARC Program will be launching on December 5, 2019! Students are asked to use their imagination and creativity to identify NASA #Spinoff technology in their everyday world. Items such as memory foam, invisible braces, firefighting equipment, artificial limbs, scratch-resistant lenses, aircraft anti-icing systems, shoe insoles, water filters/purification, cochlear implants, satellite television, and long-distance telecommunications were first developed for a NASA mission and then, re-worked to make everyday life easier. Once you start discovering Spinoffs, you will be surprised to find that there’s more space in your life than you think. This year’s OPSPARC challenge is broken down into three missions! Find out more at NASA’s website and remember to #BeTheSpark!